This is a guest post written by Stacey Aaronson. Stacey works directly with authors to help them get their manuscripts polished and published. 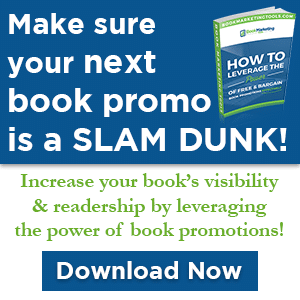 Stacey helps you to understand one avenue for getting your self-published book into bookstores! Back in October 2013, I wrote a blog post about Ingram Spark, just after Lightning Source (an Ingram company) launched its new self-pub platform, and the verdict was that I was a bit (ok, quite) disgruntled with it—ultimately deciding they needed to work out some bugs before I would consider using them again. Well, the good news is that I’ve published two of my clients’ books through Ingram Spark this year, with two more about to launch, and while not yet perfect, it’s definitely better than it was last fall. Here’s why this makes me incredibly happy as a book production professional for every writer out there who’s considering self-publishing. 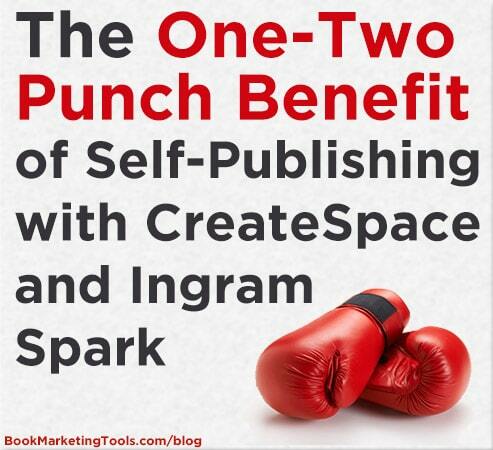 First, CreateSpace — Amazon’s self-pub platform — is great for most every author producing a mainstream paperback, but it doesn’t complete the publishing picture; adding Ingram Spark does. Why? The truth is that you can’t beat CreateSpace for its user-friendly interface, its cost ($0! ), its 24/7 customer service, and its affiliation with Amazon—which provides a hearty 60% royalty of your book’s list price, minus the printing cost. I use them for every book I produce, and to be honest, seeing the quality improve over the last three years has made it even better. But while all of these benefits are super, it can’t be disputed that CreateSpace/Amazon is not widely embraced by bookstore owners; in fact, it’s rare that a bookstore will consider stocking a book distributed by what they consider “the enemy” of their book sales. Even when the book has been edited and designed professionally and rivals a traditional house production from cover to cover, having only CreateSpace as your distributor can be a deal-breaker. While you as a newly published author may be perfectly happy with an online presence and nothing more, it’s hard to deny our desire as writers to see our labors of love on a bookstore shelf; ditto for the opportunity to do a book signing. Whether you’re hoping for space in Barnes & Noble or your local independent bookstore, having Ingram distribution behind your book can make all the difference. As the largest book distributor in the world with a decades-long reputation for excellence, Ingram is a superb option for broadening your opportunity for exposure as an author (see the Global Reach section of their website to view the list of distribution partners). While there is no guarantee your book will land on a bookstore shelf without some effort on your part, the fact that bookstore buyers regularly order titles through Ingram—and for a mere one-time $12 fee, your print-on-demand book will be included in the Ingram Content database—gives you an edge over self-published authors who publish only with CreateSpace. While CreateSpace does offer “expanded distribution” to bookstores at no cost, the truth is—and I’ve heard this straight from bookstore owners’ mouths—that they won’t consider carrying these titles, even if the book conveys interest. Of course, there are exceptions, but again, independent bookstores and Amazon simply aren’t the best of friends, and until everyone can find a way to coexist in harmony—which I do believe is possible; it simply hasn’t happened yet—self-published authors have to think from the booksellers’ point of view, if that’s an option they wish to pursue. Set up an account at www.ingramspark.com. Have a separate ISBN for your Ingram-distributed paperback so that you can keep track of sales through Ingram vs. Amazon (this also avoids confusion when Ingram submits your title to Amazon, which happens automatically—you want your CreateSpace version to be listed on Amazon for higher royalties, and if you have a separate ISBN, the CreateSpace book will supersede the Ingram Spark one, as long as it’s been published first). Create your cover file with the specific Ingram Spark template (which is very close to the CreateSSpace specs, but must be made with the Ingram Spark template); your interior files will be identical, except for your ISBN on the copyright page. Set up your title in the user-friendly interface, upload your files according to their guidelines (you can download this PDF from the Help section of the site), and pay the $49 setup fee, plus $12 for database inclusion. Make any adjustments necessary to comply with guidelines OR pay a $10 fee to have Ingram fix error messages for you if you receive them. Review your e-proof online when it’s ready. Make any necessary changes, re-upload your files, and repeat the online review process. Order a printed proof, if desired; or, if you’ve already completed your crucial physical proofreading rounds (I recommend three) with your CreateSpace version, approve your title for distribution. Sounds easy, right? And for those who’ve used CreateSpace, it’s much the same process. So why did I say it wasn’t yet perfect? My personal experience has been that even when I comply with all guidelines (and I mean all), I still receive error messages when I upload. In the early phase of the platform’s release, there was nothing you could do to fix or bypass these errors to get to an e-proof stage, nor was there anyone to call for help. Now, however, you can pay the above-stated $10 fee to have so-called errors corrected by the Ingram tech team (which, though not ideal, ends up being quicker and easier for the time being than fighting it), and they now have a customer support staff available Monday through Friday, 8:00–5:00 central time, at 1-855-99-SPARK. So, yes, certain major issues have been addressed; they’re still working on why error messages seem to come up no matter what, but overall, I’m quite happy with the platform and how otherwise user-friendly they’ve made it for independent publishers, not to mention the high quality of the book itself. Royalties are comparable with CreateSpace’s expanded distribution, and if you want to create a hardcover version, Ingram offers that option as well. For those who would like to go one step further and be featured in the Ingram catalog that’s sent out monthly to over 4,000 bookstores and libraries, that option just became available too. For a $60 fee—which buys you a one-time-only ad space in your genre with black and white cover image, description, and traditional book details—you can get your book in front of people with buying power, and while nothing in publishing is a guarantee, it’s a small investment for the possibility of bookstore and library inclusion across the nation. As self-publishing authors of excellence know, you must wear many hats, overcome a lot of overwhelm, and dedicate yourself to producing a top-notch book from cover to cover, not to mention building your author platform. Once you do this and add the one-two punch of publishing through both CreateSpace and Ingram Spark, you’ll be on your way to having the exposure for your “baby” that’s worthy of the financial and time investment you’ve made—and to putting your book in the hands of the readers you wrote it for with love. “The Fulfiller of Publishing Dreams,” Stacey Aaronson is a professional book doctor who takes self-publishing authors by the hand and transforms their manuscripts into the books they’ve dreamed of—from impeccable editing and proofreading to engaging, audience-targeted cover and professional interior design—rivaling or exceeding a traditional house publication. She has been a trusted book production partner for some of the most accomplished coaches, educators, entrepreneurs, and writers of inspirational non-fiction and memoir, and she is the author of the blog “The Self-Publishing Scoop”. To explore all of the services Stacey provides, please visit her website at: www.thebookdoctorisin.com. And for Stacey’s free, chock-full-of secrets video: The Top 10 Things You Must Know to Become a Self-Published Author with Excellence, hop on over to www.savvyauthormastery.com.